SINTRONES, a world-leading provider in the global In‐Vehicle computing unveils its brand new ABOX-5200 Fanless Box Computer. 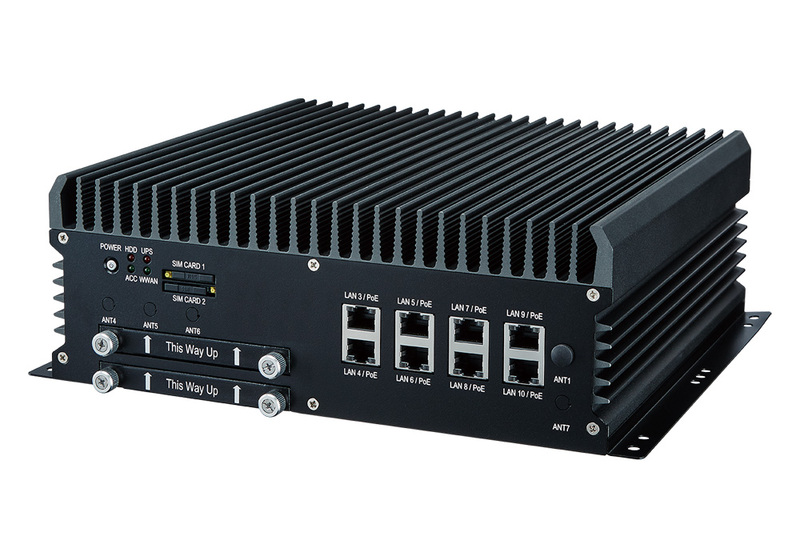 The new fanless box computer is designed for a variety of demanding environments and application in surveillance and field control systems. With new Intel Coffee Lake 8th Gen technology’s outstanding performance, ABOX-5200 can effectively support autonomous vehicles, factory automation and license plate recognition. Visual management i.e. Police Car Automatic License Plate Recognition, Vision Control System. New ABOX-5200 Fanless Box Computer is powered by Intel 8th Gen Core i7/i5/i3 CPU with 10 x GbE/ 3 x COM/ 3 x DP/ 4 x USB 3.0/ 9-48V AI GPU Computing. It can provide high computing performance on graphic processing by harnessing the power of its graphics processing unit (GPU). The new ABOX-5200 was engineered using dual hot swappable SATA Storage RAID 0,1,5. Continuously, ABOX-5200 fanless box computer can process deep learning A.I. operations, support end-to-end deep learning solutions which play a vital role for automation solutions and autonomous vehicles. The principle is to have the high performance on processing numerous data - streams in and from sensors, including cameras and radars. ABOX-5200 computing technology is a perfect fit for connected smart patrol, smart factories, Police Cars, Automatic License Plate Recognition, AI. ABOX-5200 has 10x GbE LAN(Optional for 8x PoE), 8x GPI, 4x GPO and 3x RS-232/422/485 and 9-48VDC Input and wide range operating temperature -40°C ~ 70°C that can be operated in extreme weather conditions. For more information, please visit www.sintrones.com, Products / Embedded computing.